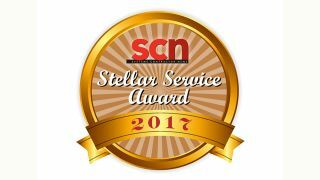 For the fourth year, we’re turning to you, our readers, to determine the winners of our SCN Stellar Service Awards. Over the next two weeks, we encourage you to take a minute to reflect on the companies that have made the difficult task of running your business a little bit easier, and thank them with a vote on our ballot. Voting will be open from now until Tuesday, March 7. The winner will be announced in our 2017 Spring Special Edition of Systems Contractor News. The Atlona Academy Online Education Portal launched at CEDIA 2014 and in two and half year’s time, has grown to support nearly 6,000 users worldwide. Designed like a college university, it offers CEDIA and InfoComm accredited 100-, 200-, and 300-level certification courses in a variety of fundamental AV topics and available in four languages. Nearly 20 hours of accredited professional online content accessible from desktop or mobile device anywhere in the world, and 100 percent free to Atlona clients. Biamp Systems knows how busy integrators and consultants are, and how instrumental education is to staying current. That’s why it’s making education and training readily available—anywhere and anytime. Its online training provides knowledge on trends, practices, and products shaping our industry. Its offerings include self-paced certification for VoIP, Biamp’s TesiraFORTÉ, TesiraLUX, and Vocia; videos; and access to Cornerstone, Biamp’s online technical knowledge base. Extron offers convenient online training in multiple languages providing opportunities for students to earn AV industry continuing education units. Online training includes Extron’s AV Associate Certification and a portion of the XTP Certification program. Students can learn at their own pace and gain a better understanding of AV fundamentals. Extron also offers Configuring for Control training and a Publications Review program, both of which qualify participants for industry certification renewal units. Since 2009, the E4 AV tour has traveled to cities around the country (four per year) to provide product, technical, and business training needs to thousands of resellers and integrators while creating the ideal forum for professional networking. The program, free to local area AV professionals, features a full day of educational sessions worth InfoComm Renewal Units, hands-on workshops, as well as an exhibit hall of top manufacturers showcasing the newest AV products and services. Sound Productions is a major supplier of pro audio, lighting, and video products since 1973. It also provides backline rental and production services on a regional basis. It is well known in the industry for its high level of professional customer service and support. Sound Productions hosts in-house training in all aspects of AV, with all manufacturers, in its award-winning training facility. Most of its trainings offered for free as means of giving back to the community. SYNNEX’ exclusive Strategic Partner Summit is an intimate networking and training event over the course of three days. This group of integrators and vendors is updated on the latest industry trends, and receives an overview of newly emerging markets and technologies. On top of that, SYNNEX entertains attendees at the BMW Charity Pro-Am golf tournament, presented by SYNNEX, with celebrity parties, concerts, and outings throughout the area, as a reward for attending the summit. The Yamaha Commercial Audio Systems Training Seminars (YCATS) team at Yamaha Professional Audio offers standard-setting support, along with pre-sales support on applications and system design and post-sales support on a wide variety of products and applications including networking, acoustic systems, and digital connectivity. Yamaha offers 24/7 support for top-end products and no-charge training programs on digital mixing, digital audio networking, and acoustics. AVAD’s improved Dealer Portal functionality features a more powerful search engine experience with improved efficiency in search results. With an enhanced list control bar, it is easy for dealers to narrow their search down to specific products they need. The search engine allows AVAD customers to personalize a search using their own words or phrases. Using this feature, dealers can teach the search engine to think the way they do. Dedicated to simplifying the infrastructure design and build process for dealers, Middle Atlantic’s website provides convenient access to the products and information they need, including recent orders, stock availability, and account-specific pricing. Based on user feedback, the site’s Configurator tool features built-in intelligence to ease the selection, configuration, pricing, and purchasing process for building personalized systems that match exact project needs. Configurator calculates and adds margin markup to quotes and intuitively organizes projects. AVAD has embraced a hybrid approach to new sales operation, which includes the expansion of digital web and mobile tools, central and regional call centers, design and technical services group, a regional market-based sales force, will-call locations in many new markets, and continued use of company-operated physical locations in many existing markets. In addition, AVAD expanded call center staff, tech support, and design services, and opened positions in previously underserved markets. For Biamp Systems’ Global Sales Team, success is built on a partnership that reaches beyond just selling. They stand shoulder-to-shoulder, helping to solve the challenges and making the most of each opportunity for their distributors, consultants, integrators, and end users. From recommending solutions, consulting on designs, to joining end-user conversations, Biamp is passionate about perfecting every level of support to streamline the road to success. BTX Technologies is a top-tier, value-added distributor and manufacturer of emerging technologies, signal processing products, integration essentials, and a multitude of related services. BTX is a unique partner that, for 50 years, has been offering Integrators valuable support from project inception through completion. Its CTS-certified, experienced sales team provides access and training for new, useful, and eye-catching technologies that enhance designs, make installations stand out, and drive new revenue streams for our integration partners. Extron was founded on the core value of professional integrity with the ultimate goal of complete customer satisfaction. This commitment is reflected in the company’s three ongoing guiding principles: service, support, and solutions. Extron employees are prepared to do whatever it takes to make certain that the entire process of doing business with them is a positive and professionally rewarding experience for you. Focusing on education and strategy, Peerless-AV’s highly connected and cross-trained sales team offers superior support to its customers. The team presents holistic, cohesive technology solutions from a single supplier, creating efficiency and reliability. The sales team also creates pull-through demand by working with end users, influencing specifications, and identifying business partners though an innovative project registration process. Through this, Peerless-AV offers a winning approach with its distributors and integration partners that can’t be matched. SYNNEX is passionate about its “Customer First” guiding principles: visibility, velocity, and value. With continued trainings, SYNNEX provides a best-of-breed capability in market knowledge, technology, and services. It offers channel partner community teams, vertical market solutions focus, strategic vendor alignments, and even end-user demand generation, creating solutions that deliver long-term sustainable relationships, and navigate technology growth opportunities for vendors and customers. Almo offers a highly specialized fleet of Business Development Managers (BDMs). Each BDM brings a multitude of expertise, such as technical knowledge, system design assistance, in-depth brand/product knowledge, bid and project registration capability, as well as a direct line to all of the top manufacturers in the AV industry. For 20 years, ANC’s dedicated technicians have been on call 24/7 to deliver flawless digital signage experiences. Last year, ANC operated display systems at 4,000 live events, scheduled more than 4 million pieces of content, and resolved 85 percent of technical questions in less than three hours. Whether onsite repairing displays after a consumer hits it, or dialing in remotely to troubleshoot content, ANC’s team is always there for high-profile sports venues and shopping destinations. AVAD Tech Support offers integrators unparalleled product knowledge from an in-house team of experts, aimed at helping dealers hone their competitive edge and troubleshoot system integration. Integrators can take advantage of AVAD’s newly expanded tech support through their regional representative, expanded call center service, or through the enhanced web portal. AVAD’s valuable support includes assistance from AVAD System Design Group, a team of technology experts providing design services including needs analysis, AutoCAD presentations, and product selection. Staffed with experienced Christie engineers who have in-depth knowledge of the company’s products and pro AV applications, Christie Technical Support is part of the 24/7 Network Operations Center. When product supported, Christie can connect to your system over the web or mobile device to configure systems or diagnose issues remotely. With certified technicians and parts depots across the nation, Christie can get your systems up and running fast. With Extron tech support, customers will always hear a live voice on the telephone and have access to 24-hour hotline support. It provides after-hours technical support, including weekends and holidays. Whether you need help commissioning or designing small to large systems, or have a last-minute troubleshooting question in the middle of the night, a trained and knowledgeable engineer will be there to help. Extron stands by its 100-percent satisfaction guarantee. Middle Atlantic’s Customer Service team is committed to delivering superior, dedicated support at every step. From technical support, design services, and custom product design, to walking a customer through rack installation, the team is available by phone, email, or live chat via Middle Atlantic’s website. Illustrating that nothing stands in its way of their customer-first philosophy, when weather has closed the company headquarters, the support team has worked remotely to continue to solve customer challenges. Peerless-AV’s award-winning Customer Care Department is committed to providing exceptional service, with a goal of one-call resolution. Ongoing product training and technical education allow representatives to answer customer issues efficiently and effectively. And for highly technical issues, Peerless-AV relies on its team of “PeerTech Pros,” a group responsible for providing support for the company’s emerging technology solutions. For immediate access, Peerless-AV provides multiple options for support, including live chat, phone, video chat, email, and fax. The ability to offer friendly, dependable, and helpful tech support that meets and exceeds expectations has always been a priority for Shure. While many companies have transitioned to automated systems, Shure believes the best tech support comes from human-to-human interaction. Access is available via phone or online chat, making it easy to reach a knowledgeable expert. The site also offers answers to more than 5,000 frequently asked questions for those looking to troubleshoot on their own. Symetrix Technical Support is a team of industry-leading, experienced analytical problem solvers that go above and beyond the call of duty to help customers. From local Singapore-based contacts in Asia-Pacific, and their counterparts in the EMEA and CALA regions, to the U.S. HQ team in Seattle, WA, Symetrix offers a friendly voice wherever in the world you're located. Whether you need help with system troubleshooting, AEC programming, site file design, or just plain signal flow, they are here to assist. SYNNEX Solutions Design Engineering team is highly trained and certified. They assist customers and sales teams in pre-sales—operating on a two-hour SLA with 99.92 percent accuracy—post-sales, and training inquiries. They can assist with assessments across most technology stacks (wireless, network, storage, cloud, etc. ); managed care (help desk, 24/7 monitoring, servers, clients, etc. ); and migrations to public cloud and hosted apps (O365, Google Apps). Free pre-sales tech support is available through techsup@synnex.com or 800-756-2888. Almo is the first distributor in the industry to create a path for resellers to expand their reach through managed services. Resellers can sell complete digital signage solutions and earn recurring revenue with Almo’s Content Creation Services. Through this program, digital content creation can be offered as part of the initial installation and ongoing maintenance package to build revenue, margins, and customer relationships. Almo offers everything from a single asset to full-scale custom content. Extron is committed to educating AV professionals through the publication of insightful articles and technical white papers that provide in-depth analysis of the latest AV industry trends. Extron’s complete library of white papers provides foundational instruction, how-to guidance, and industry best practices for a wide range of AV technologies. Extron recently released white papers on High Dynamic Range Video and the application of USB in Professional AV Environments. AVAD’s System Design Group provides customers with a full range of design services, including needs analysis, AutoCAD presentations, and product selection. Dealers can obtain industry-leading assistance designing projects with lighting system, audio and video distribution, digital signage, networking, management, and more. System Design Group is open to dealers with residential, security, and commercial projects—all free of charge. D-Tools System Integrator (SI) software solution helps increase productivity and efficiency by bringing together estimation, design, and project management into a single data-driven process. Featuring third-party integrations, D-Tools delivers a complete end-to-end solution enabling data to flow seamlessly throughout the project lifecycle—from initial client contact through the ongoing service relationship. Along with a comprehensive library of manufacturer products, D-Tools delivers a powerful, yet easy-to-use solution that provides a positive impact your business.